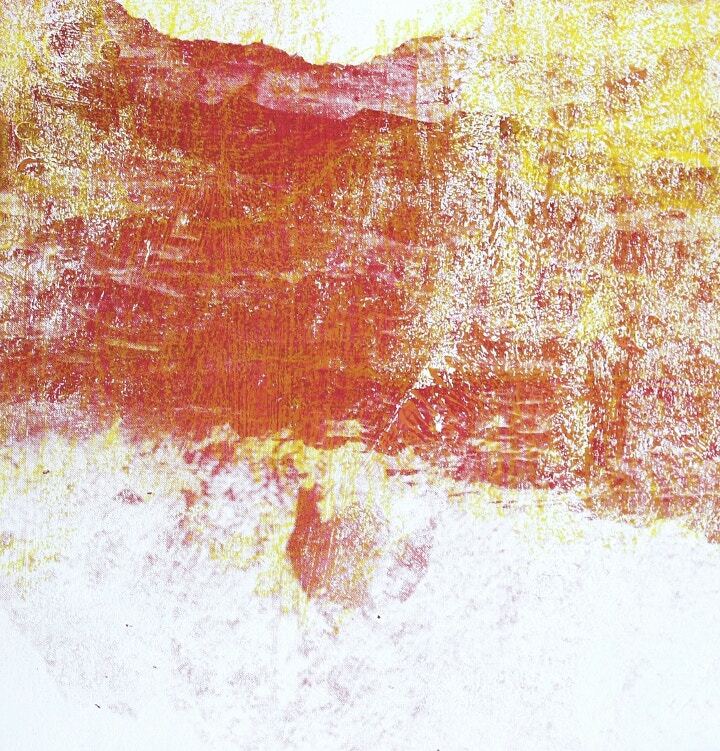 A landscape falls down a sheet of metal; printed red, magenta, yellow, bold in its textured layers against the white wall. 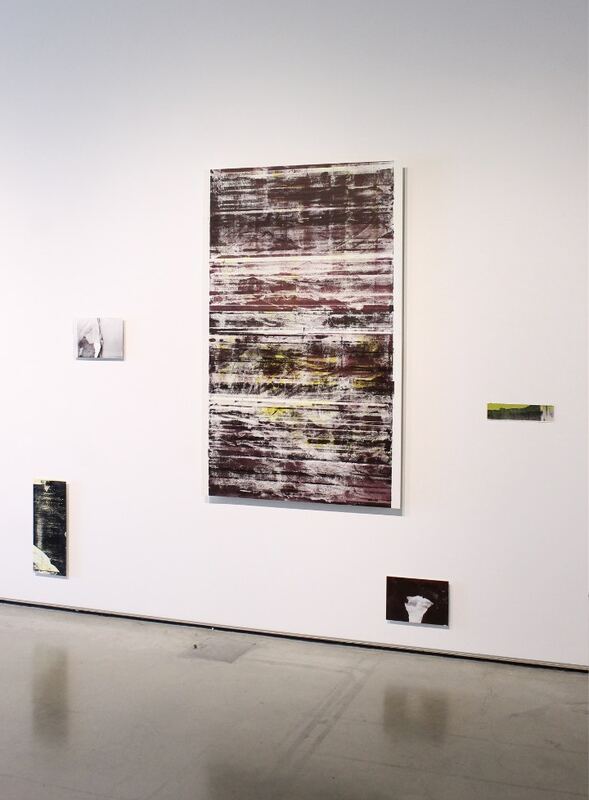 These are the works of Natalia Davis, MA graduate of Central St Martins this year, and winner of the Cass Art Prize. Natalia was awarded £1000 to spend on art supplies for her innovative use of materials in her Degree Show piece. We wanted to find out more about the artist behind the screen-printed landscapes, and ask about her plans once she leaves CSM. 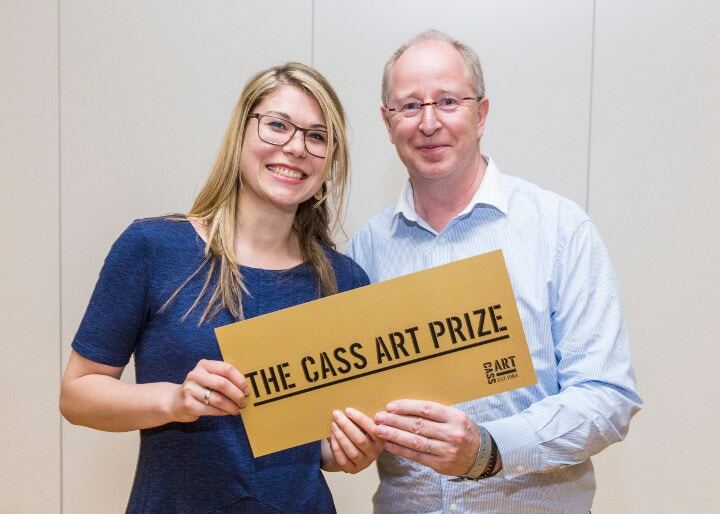 Congratulations on winning the Cass Art Prize, Natalia! Do you have an inkling on which art materials you’re going to stock up on? I plan to spend a lot of time in store! I think I will be looking for materials that I wouldn't typically go for. And I look forward to treating myself to some new brushes! Your winning work was Cascade, a screen print on aluminium, which was an unusual and imaginative way to see the printing method presented. How did you arrive at printing on aluminium? I started using the sheet aluminium early on during the MA, using the reflective surface in the construction of my photographic and digital images. 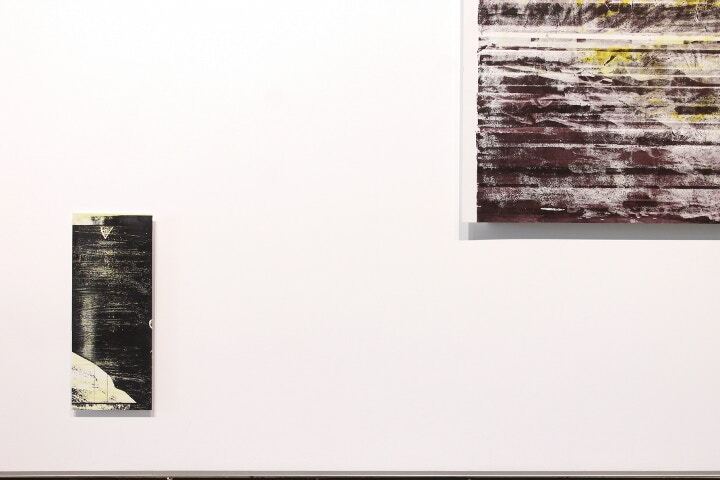 Printing on the aluminium began as a way of further integrating these formative stages into the work. The rigidity of the material means that I am able to develop the surface and maintain the thinness of the print on paper. Your practice seems to combine more traditional materials – pastels, acrylic and gesso – with the digital processes of photocopying and printing. Do you find a tension between these two things? There is certainly a dialogue between the digital and the more physical, manual aspects involved in the production of the works. Particularly with printing and image processing becoming digitised to such an extent, there is still the continuation of print making traditions and a desire to deal with images in a more tangible way. I enjoy being able to conflate and in some sense undermine the technologies, using the digital to examine the more traditional and vice versa. Can you describe the inspiration behind the textures and surfaces of your prints? When creating paintings on aluminium the surface is prepared to make sure that the paint adheres, and the development of the primed, textured surfaces goes from here. The work becomes more about the relationship between surface and image, what is lost and gained during the print transfer. This also relates to the wider themes of my practice involving shifting landscapes and unstable grounds. 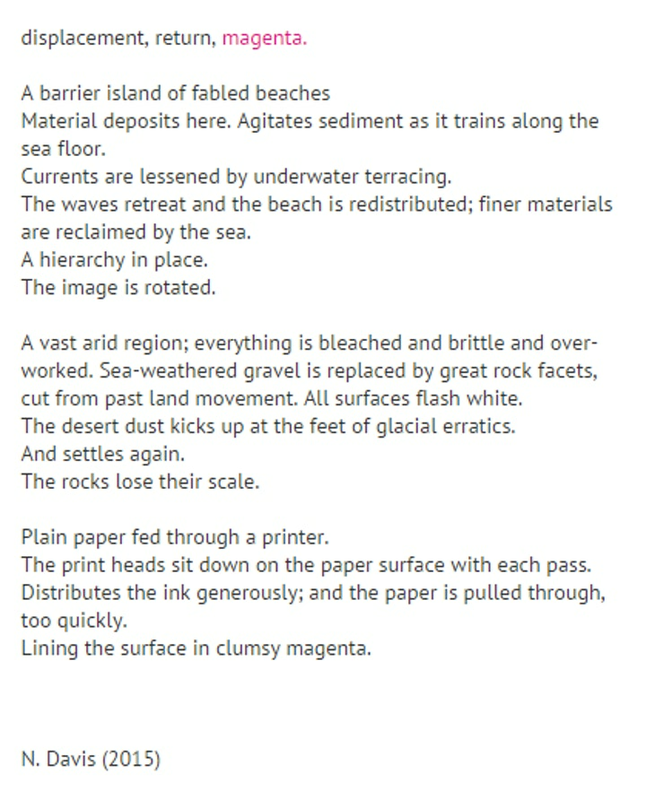 Your accompanying text is beautifully written – “lining the surface in clumsy magenta” is a particularly accurate image. Do you write texts for all your pieces, and if so, why? The text is a first! I wanted to include a piece of writing in the degree show catalogue that didn't explain the work but indicated something of my approach and the connections between landscape, image and print. How has your practice progressed on your MA at Central St Martins? There has been such intense focus; we are only just starting to appreciate how far everyone has progressed. With my practice, there is much better coherency between my research areas and the production of the work, including the materials that I am using and processes involved. I came to the course with a painting-based practice. The preparatory work that was involved in the development of my paintings, including photography, image processing, printing and collage, is now much better integrated into my practice, and opens up possibilities for new work. What are your plans after leaving CSM? Top of the list is to find a studio! I am also starting to apply to residencies, which would take place later this year or in 2016. I have enjoyed being involved in small, group exhibitions during the MA, and plan to organise some further collaborative projects over the next year. If you had one piece of advice for someone considering an MA in Fine Art, what would it be? Visit the colleges and talk to the students! Read our blog on the two winners of the Cass Art Prize this year, including Natalia as the MA winner and Helena de Pulford as the BA winner. You can visit Natalia Davis's website here. To find out more about the shows and Central Saint Martins here, or tweet about the shows using the hashtag #CSMshows2015.